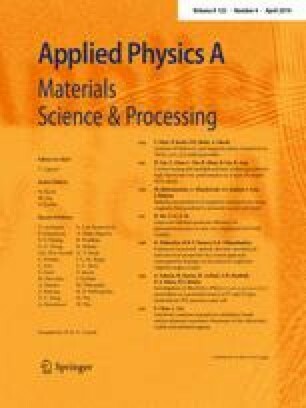 In this study, two-dimensional electron gas (2DEG) mobility analysis of AlN/GaN and InAlN/GaN structures with ultrathin barrier layers by metal organic chemical vapor deposition (MOCVD) has been performed with Hall effect measurements which is carried out under temperature from 15 to 350 K and a single magnetic field of 0.5 T. As a result of the scattering analysis made with Matthiessen’s rule, it is shown that while the interface roughness scattering mechanism is dominated on the 2DEG mobility at low temperatures, the 2DEG mobility has been dominated by the polar optical phonon-scattering mechanism at high temperatures. Also, the acoustic phonon-scattering mechanism is effective on the 2DEG mobility at middle temperature. Furthermore, the interface and the quantum well parameters such as deformation potential, quantum well width, and correlation length of the interface are determined for each. As well as experimental measurements, the conduction band energy diagrams of the studied samples have been calculated using one-dimensional (1D) self-consistent Schrödinger–Poisson equations. A 2D quasitriangular quantum well formation has been shown for each studied samples. 2DEG probability density of samples has been investigated. One of the authors (E.O.) also acknowledges partial support from the Turkish Academy of Sciences. This research was supported in part by the Distinguished Young Scientist Award of Turkish Academy of Sciences (TUBA-GEBIP 2016).